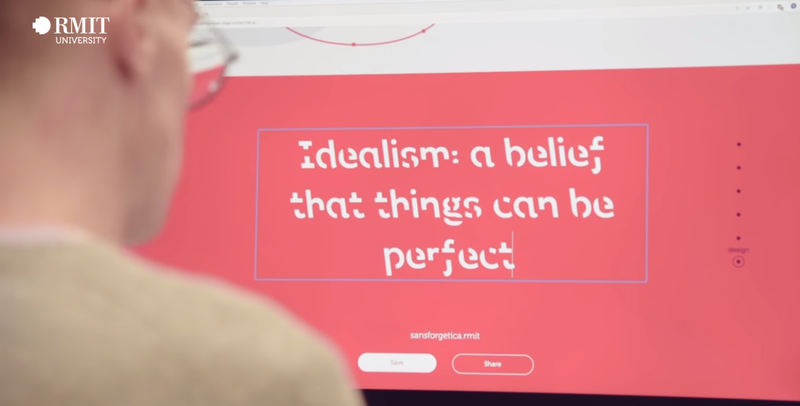 Recently, the University of Royal Melbourne Institute of Technology (RMIT) designed a typeface called Sans Forgetica whose purpose is to strengthen the understanding and information retention on students. Following a methodology called "desirable difficulty," Sans Forgetica seeks to make a little harder the educational process to promote a more in-depth cognitive process for the student, which favors classes’ memorization for more time. RMIT tested the typography with 400 students; 57% successfully memorized the text in Sans Forgetica, compared to 50% who read it in Arial. Because the typography has gaps, students are forced to mentally fill the spaces which cause them to slow down their reading. It also has an unusual inclination that aims to make sentences more difficult to read, making them pay more attention to what the text says. Apart from typography, another type of desirable difficulty can include putting together puzzles to obtain information or giving scrambled material so that students participate actively in the learning process. This method makes the information more accessible because it prepares students to use the concepts in multiple ways and forces them to create various memorization routes to access the information they need. Even so, there are critics against this method, mainly during the beginning stages, where students can become frustrated since the reading is not fluid and can demotivate them, however, it has been shown that Sans Forgetica improves the retention in the long term.